NEW DELHI, (DNA) – Former Indian Prime Minister Atal Bihari Vajpayee has passed away. He was 93.The announcement was made by the All India Institute of Medical Sciences or AIIMS, where the 93-year-old had been treated for nine weeks.Indian Prime Minister Narendra Modi visited the hospital twice in 24 hours and top politicians from across parties arrived as the former prime minister’s health worsened on Wednesday. Mr Vajpayee, the BJP’s tallest leader, was admitted to hospital on June 11 with a kidney tract infection and chest congestion. Since 2009, the veteran politician had largely been confined to his home on Krishna Menon Marg in the heart of Delhi, away from public life due to his failing health. 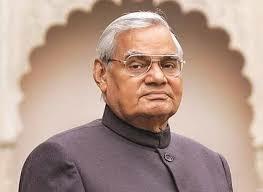 Mr Vajpayee was considered the gold standard of leadership in the BJP and had admirers even among rival parties. His birthday — December 25 — is celebrated as Good Governance Day. At the BJP headquarters in Delhi, decorations put up for Independence Day celebrations on Wednesday were taken down as a somber note took over. LK Advani, one of Mr Vajpayee’s closest colleagues and his deputy in the NDA government from 1998 to 2004, was among the visitors.